Luxury and comfort are extremely important parts of Land Rover vehicles. That is why here at Land Rover Colorado Springs you will find a great selection of SUVs with the best of luxury and comfort features. That includes several Approved Certified Pre-Owned vehicles. We currently have a well maintained Approved Certified PreOwned 2017 Land Rover Discovery Sport available that meets those specifications! The suggested retail of this SUV is $42,839 but our dealership price is an affordable $36,989. Plus, this SUV has just under 7,000 miles on it! The Land Rover Discovery Sport is well-equipped with a variety of exciting features including navigation system, Vision Assist Package, and remote keyless entry. 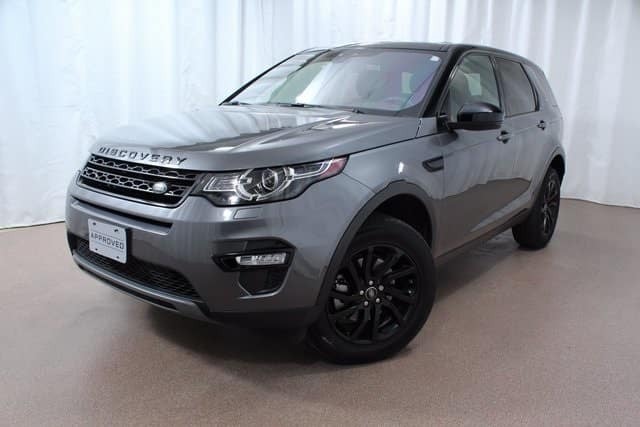 Other great features to enjoy on this Discovery Sport are Electronic Stability Control, speed sensitive windshield wipers, heated door mirrors, and so many more! It is powered by a 2.0L turbocharged engine which gets an estimated 20 MPG city/25 MPG highway. So make Land Rover Colorado Springs your choice when looking for a luxurious SUV to add to your vehicle family! Stop by for a test drive today. Our Land Rover experts are looking forward to introducing you to the many exciting features!